Garbage has a high economic and environmental cost and burdens local municipalities. Increasing recycling rates can ease both the environmental impact of “landfilling” and the cost borne by municipalities. Dayton, Ohio, recently launched an incentive-based recycling program for residents that is made possible by radio frequency identification (RFID) tags affixed onto recycling bins and asset tracking software. The program offers cash prices to encourage recycling. To select winners, the city randomly chooses four recycling bins each month that are tagged with RFID. The RFID tags placed on the recycling bins store the address of the resident using the bin as well as an identification number. The data are transmitted through a special antenna installed on each garbage truck. 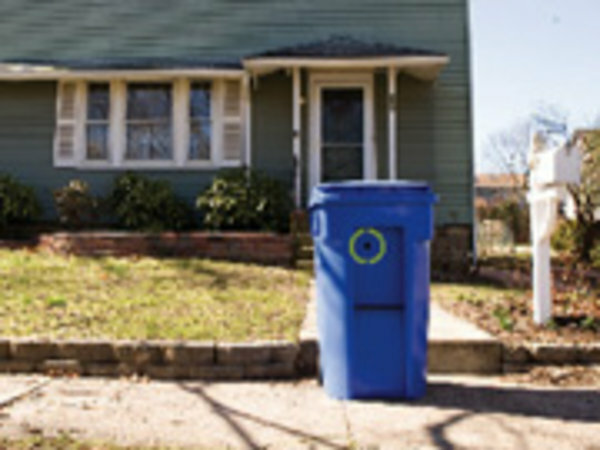 The RFID hardware and information are integrated into an “asset tracking platform” that helps Dayton officials plan recycling pickup routes, schedules, budgets and usage rates. Their goal is to double the amount of material recycled to 1,000 tons monthly. That would represent a $250,000 a year savings. To purchase the technology and 10,000 recycling bins, Dayton spent $500,000 in federal stimulus funds. Other cities, like Laurel, MD use RFID to identify residents who don’t recycle and work with them to comply through warnings and tickets. Since inception of this program recycling rates have increased nearly 40%. I think this is an interesting approach to engage the public.